Let us now return to the subject of your use of the power that you have, the energy which you control. There are many ways that you can do this. There are many ways that you do this already. Some of what you do is intentional, and some is still unconscious. As you learn to accept that you can be intentional with these things, they will become, more and more, the conscious and intentional ways in which you interact with the world about you. We will tell you that your current ways of wishing, of asking, and of supplicating will evolve into intending and expecting as you learn to understand the power and effect that you have upon your surroundings..
Now first, let us be clear that every thought you have has some greater or lesser effect upon all of this. We will take it for granted that greater and intentional is something that you desire. Let’s look at what does and does not increase your effectiveness in this regard. We will also assume that you are aware that worry and doubt need not be discussed, as they obviously will not have a beneficial outcome. Wishing has an effect that moves one toward what one wants. It is not a very powerful effect and it can be wiped out quite easily by wishes that counteract it or conflict with it, which you do all the time. Think of “I wish I could have such and such, but…”. That little word ‘but’ cancelled out the entire effect of the thought. Doubting? Doubting that the desire could or might materialize has an instant counter effect. So what does work? Simple steps, please? OK. Imagine, focus, communicate, expect. And do all of those clearly, simply, and consistently. First imagine what it is you want to see, have, or experience. Some use the word visualize. That confounds some people as they don’t think of themselves as seeing these things. So imagine it in whatever manner works for you. We know you know how to daydream. Next, focus on it. Embellish upon it if you can. Since you are imagining it, you may as well imagine everything you can about it, including what it will be like to have it or experience it. What does it feel like, look like, sound like, smell like. How does it make you feel. Now communicate your desire to the highest power you can imagine. But try not to fall into your old habit of asking or begging or pleading. Confidently expressing your intention would be very good. If you realize that you are actually speaking with something that is the biggest and best part of your own being, so much the better. If that is true for you, you can go ahead and command that it be done. Trust us when we tell you that BIG YOU will not mind at all when you do this. And now comes the tricky bit. Expect it. One popular channel, coach, and healer says, “expect miracles.” That’s not a bad idea. Another says, “assume it will be.” That is also good. Even singing the “Anticipation” song is good. But do NOT allow yourself to second guess it. If you like, return to it all you want and expand upon or enjoy the taste, feel, smell, and sight of it. It’s yours. Know that. And don’t quit on it one hour before it happens for you. What about bigger and better things? Well, creating a new world is really just the same as creating a house, or car, a new job, or anything else. After all, this energy you are speaking with created you, your world, and the entire cosmos. Is your imagining any bigger than that? So you can follow the same steps we just gave you, imagine, focus, communicate, and expect. But what about a short cut? Every time you learn something you end up looking for an easier and better way, do you not? You want a short cut. Well, surprisingly, there is one. But there’s a catch. There’s always a catch, right? Here we go. Now, first of all, let us tell you that this is something that you have all been remembering for a very long time. Notice we said remembering and not learning. None of this is new to any of you. That may not have been true before, but it is more and more true of everyone left on your planet now, and particularly those who read these messages. You know these things at some level and we only remind you when you seek to know. We do not ask you to spend time and effort studiously putting these things into practice like a group of dedicated monks of long ago and far away. Read them. Allow yourselves to feel the truth of what we say if it indeed resonates with you. And then relax into it and let it lead you. There is first of all the concept that everything is energy, energy is conscious, and that is what you are made of. We have discussed this at length before. The joke here is that your scientists keep trying to figure out how matter produces consciousness when the process is exactly the opposite. Consciousness produces matter. But that is not our subject. Now we can describe energy in many ways. 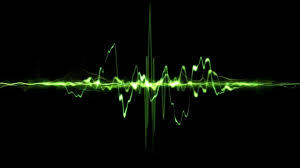 We can call some frequencies of it sound. Others we call light. Some are heat. Some are thought. Some radio. Some this and some that. But it’s all frequency and it’s all what we call light. It is just a spectrum of frequency if you can imagine that. So you are exactly that. You are a collection of different frequencies which express all of who you are, past, present, spirit, matter, emotions, the whole of what makes you you is made up of that. You are light. Since that is what you are, why not become the highest and purest and brightest light you can imagine? Well, that is exactly what you all do to the best of your knowing and ability. You do. So let’s help you increase that ability and bring back your knowing. Let’s get you into such a high frequency that all of the stuff we discussed above becomes like what arithmetic is to a physics professor. At the highest frequency you can become, just being and intending the best is all you need. Said in another manner, bringing your loving consciousness to bear and allowing it to affect the world around you is all you need. You are all ready to take this step now. It is within reach for all of you. The method? There are literally thousands. Pick the one that rings your bell, as you say. We will certainly give you one, but feel free to use another if you choose. We said there is a catch, and there is. The catch is that you must trust the process. It is a process. You must trust it. You must start where you are. It is the path you are all searching for. The step you must take is your next step. You make things much too complicated. Keep on keeping on. Go with the flow. Do what you see to do. You are exactly where you need to be. That is true for each and all of you. If your aim is to rise, then rise you will. Nothing can stop you except yourself. Now back to those bigger and better things we were talking about. You will find as you continue along the path we were just discussing that the frequency that you have become has changed what needed to be changed as it was encountered. Short cut. Plain and simple. You are the change. You are the changer. You are learning to remember who you are and not to believe that you are what you have been taught to be. You are the entire cast of this play and not the role you are in at the moment. You are the leading lady, the leading man when he got sick, the extra in act two that you had to be last night when they didn’t show up., the director, and everyone else. And when you look at it from the perspective of the cast party, you can see and understand all of that. We wish you to know that you are doing a great job. You should be very happy with yourselves, and you will be when you see what we see. We said that we would give you a method, a simple method. We will continue with that next time, as this has become long enough, we think. Do give some thought to what we have said and adopt it if you see fit. As we suggested, just relax into it. Play with the ideas.